When Jean Dutraive purchased the Domaine de la Grand’Cour in 1969, it was already one of the oldest domaines in Fleurie. The Domaine encompasses 9 hectares divided between three contiguous terroirs: Grand’Cour, Chapelle des Bois, and Champagne. 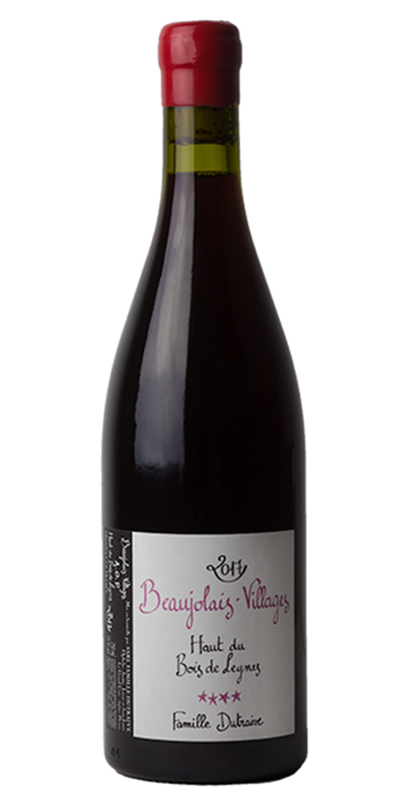 The family also has 1.6 hectares of Brouilly that have been in the family for five generations. Jean-Louis joined his father in 1977, and took over the domaine in 1989. The domaine has been certified organic since 2009, but practicing organic for decades prior. Jean-Louis strives to make vins de terroir above all else, and follows the same principles of winemaking for each of his cuvées - hand harvesting, whole-cluster carbonic fermentation without any added sulfur, native yeast and no intervention or addition of oenologic products. Following the hailstorms that struck the Domaine de la Grand’Cour in 2016. Jean-Louis created the Famille Dutraive label with his children Justin, Ophelie, and Lucas. The Famille Dutraive wines are made from purchased grapes from carefully selected parcels that follow the spirit of organic farming, whether or not they are certified. The wines are vinified according to the same philosophy as those from the domaine.